Clandestina by name, clandestine by nature, Lathraea clandestina is partial to the roots of alders, willows and hazels. This furtive perennial parasite isn’t native to the UK, but has found its way into the affections of gardeners, who value its clumps of hooded purple flowers in spring. 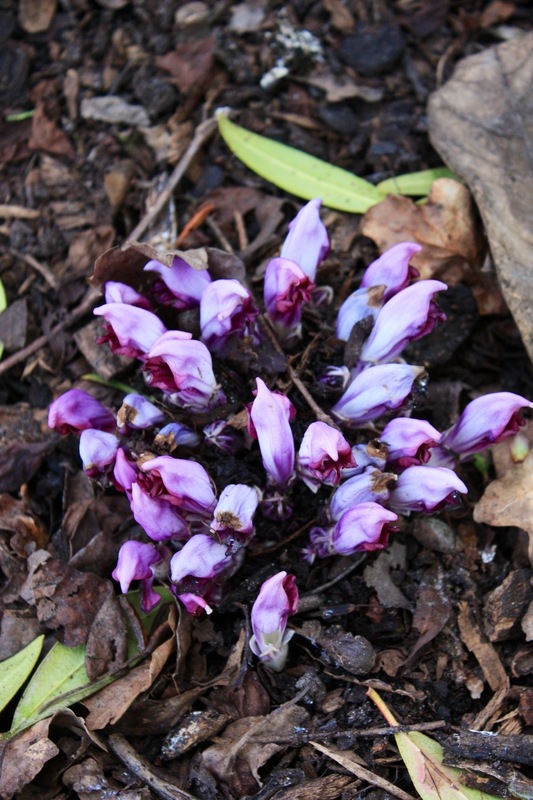 Known commonly as toothwort, you’re unlikely to find it in your local garden centre due to its unconventional habits, but worth hunting down if you have suitable host trees. Very cute parasite! An Orobanchaceae I assume.